Bring your car or truck to Mr. Tire Auto Service Centers in Indian Trail, NC and save up to 50% over the dealer service department on maintenance services! We’ll pull up your manufacturer’s service schedule, inspect the necessary components for the current mileage, and perform any required maintenance tasks. Ask for a FREE print out. From oil changes, to brakes, to fluid changes, Mr. Tire Auto Service Centers' technicians will keep your vehicle running smoothly and under warranty. Mr Tire Auto Service Centers in Indian Trail, NC performs the same maintenance work and repairs as your dealer service department, but at a cost up to 50% less. Start saving today by bringing your vehicle to Mr Tire Auto Service Centers for all of your auto service and repair needs! We provide a free written estimate and perform only the work you authorize, guaranteed in writing. All parts and services are covered by a minimum three-month/4,000-mile warranty. Many parts including brake pads and shoes are backed by a lifetime warranty. Mr. Tire in Indian Trail, NC provides scheduled maintenance on your vehicle for routine and preventative vehicle care. When you come in, we’ll pull up your car’s maintenance check list for your specific model and inspect the necessary components for your vehicles current mileage. Factory scheduled maintenance provides a good opportunity to make sure your car is performing correctly and help prevent costly future repairs. Plus Mr. Tire will save you up to 50% over the dealer! 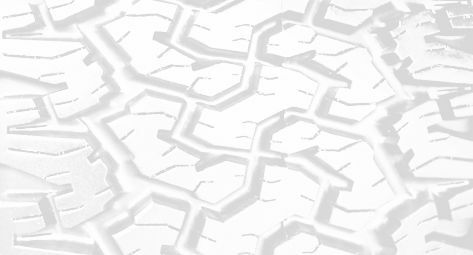 Mr Tire Auto Service Centers are your source in Indian Trail, NC for the best deals on new tires, and complete automotive care for your car, truck or SUV. Plus, if you find a better deal, we will beat the competitors total price by 5%! While our name means tires, we offer a full range of automotive services such as oil changes, brake service and wheel alignments, to help you maintain your vehicle and protect your warranty. Great, knowledgeable staff. Made an appointment (recommended) Only concern was when I made appt. on line, I chose the new tires I wanted. Appt. was confirmed but upon arrival to store, they didnt have the tires, stating they didnt see the request? Also, concern with tire pressure lite on dashboard, which was not adjusted after install. Having mentioned this, they are ready to fix things. Highly recommend scheduling an appointment. These guys get BUSY! I have full confidence in the work provided for me on my automobiles when I drive out. Great friendly service, honest work, reasonable prices. the workers were great and the service was quick. great hospitality as well! This place is fantastic. I thought I had a headlight issue. They check them and said there is no problem. I trust this Mr. Tire to take care of my vehicle needs. Always great service. Nice people and very honest. Have been going here for 1.5 years. Thank you, Kevin! My experience at the Mr tire in Indian trail is always amazing. I don't plan on going anywhere else! Great service! Great prices! Tire repair completed nice and neat and under $30. Awesome shop. They’re honest, accommodating, and provide great service in a timely manner. Awesome Experience!!!! Excellent staff and do the job right. Will certainly return the next time I need anything. Great customer service, straight forward diagnosis and reasonably priced. Would be nice if they refilled their K-Cups for coffee though...waiting room could use a little TLC. Both times I was there service was friendly and excellent. I always recommend Mr Tire to anyone that’s looking for a reputable car repair shop. Alex and team are the best! I heard a loud sound coming from my right front tire and took it to Mr. Tire in Indian Trial NC on a Sat. morning. Kevin wanted to look at it to make sure it wasn't a safety issue to see if I needed to leave it or if I could bring it back. They found a screw in the rotar and removed it and I wasn't charged anything. Great customer service.